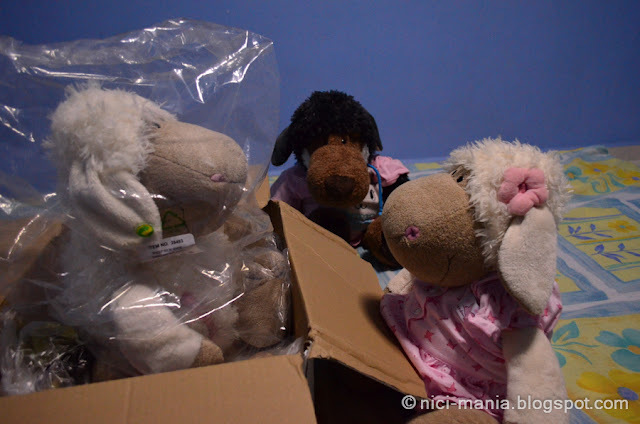 One day, the postman left a note under our door and we went to the post office eagerly expecting a NICI parcel from Germany! We collected the NICI parcel back home and Hugo Wolf is exhilarated by what's inside the box! 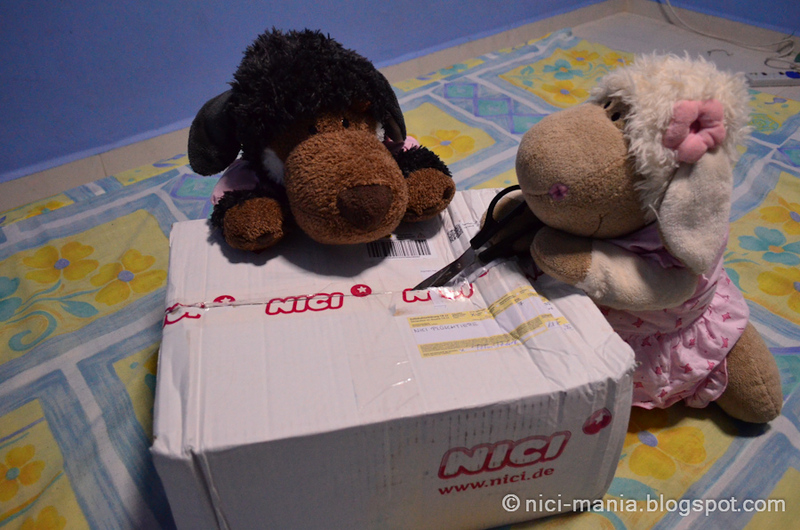 Hugo Wolf calls upon Jolly Rosa to join the opening ceremony of our NICI parcel. This is the first time we bought from NICI Germany. Hugo Wolf awaits in suspense while Jolly Rosa cuts open the parcel! 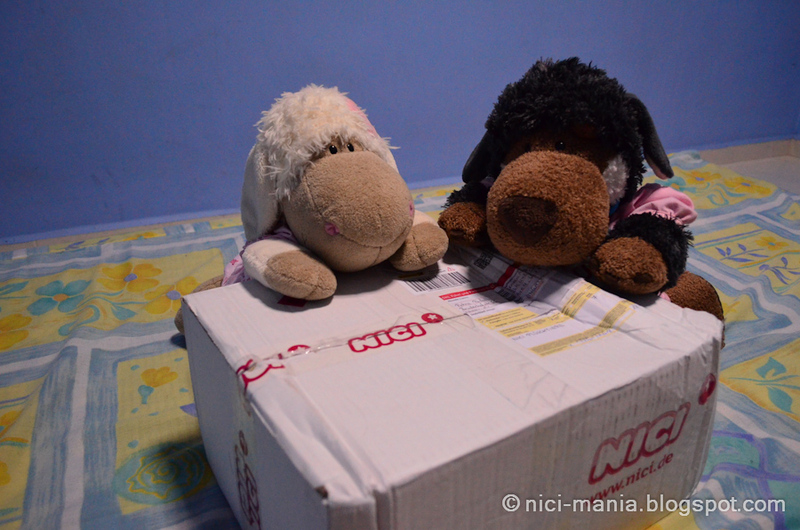 A very beautiful NICI plastic bag laid upon the bejeweled eyes of our two NICI plush. 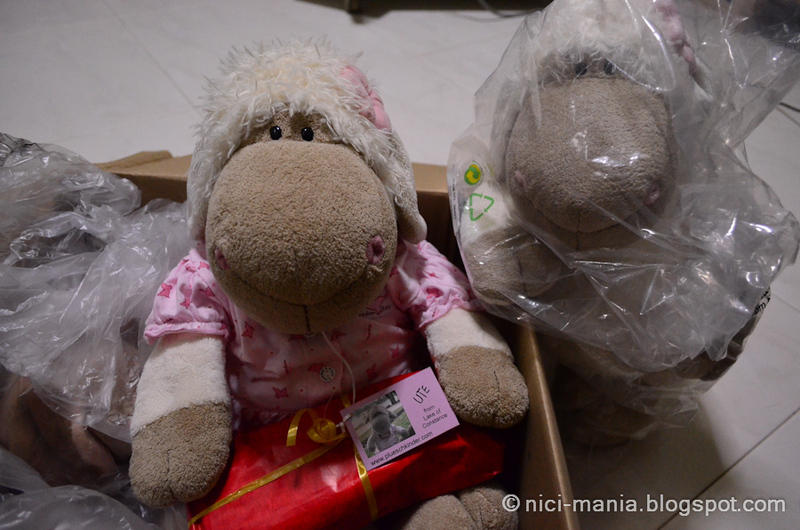 Underneath the NICI plastic is a box full of NICI goodies sent all the way from Germany! NICI-Mania queen Jolly Rosa met her sister, Jolly Rosa! 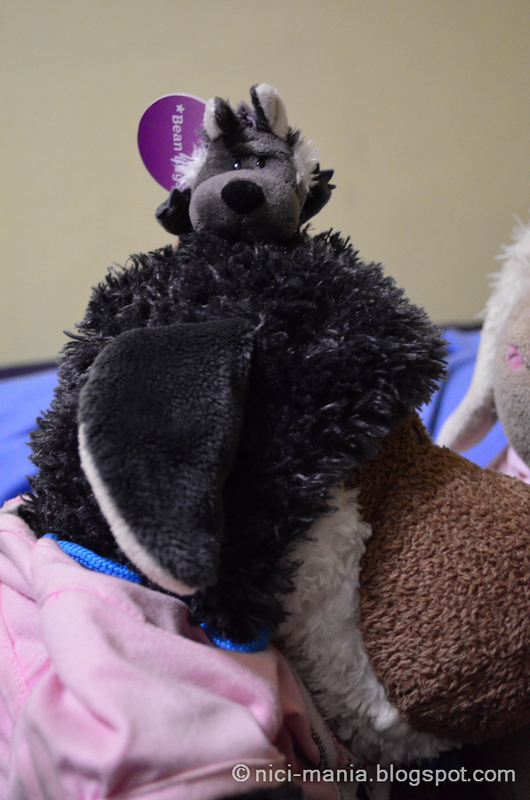 (This is how A Tale of Two Jolly Rosa came about). Jolly Rosa was on sale for only 15 Euros on nici-shop.de website! Its a huge bargain for a 50cm Rosa. 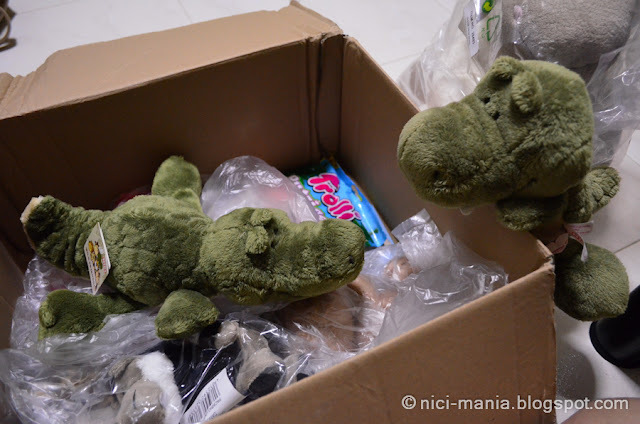 Then our NICI minily crocodile met his croco friend, the lying crocodile! We have been wanting to get this for a long time but we couldn't find him anywhere here. 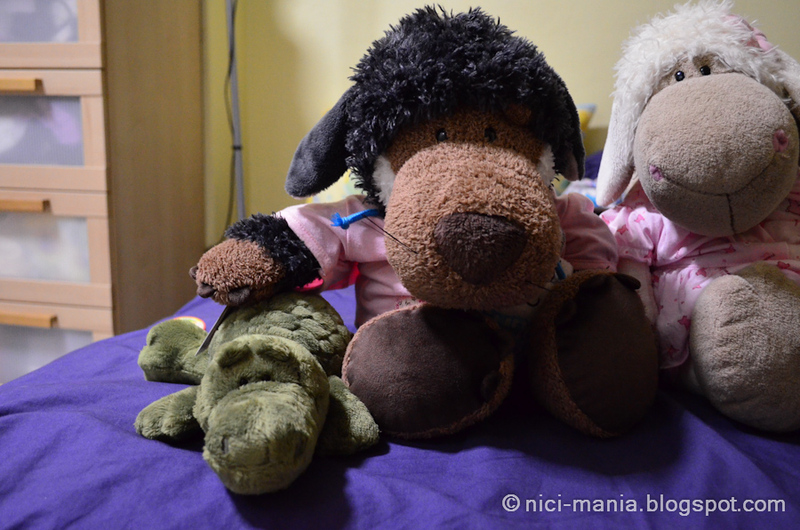 The 35cm lying crocodile plush is also on sale for only 8 Euros on the nici-shop.de website. He is Hugo Wolf's pet from now on. Jolly Rosa loves sneaking in photos as usual. 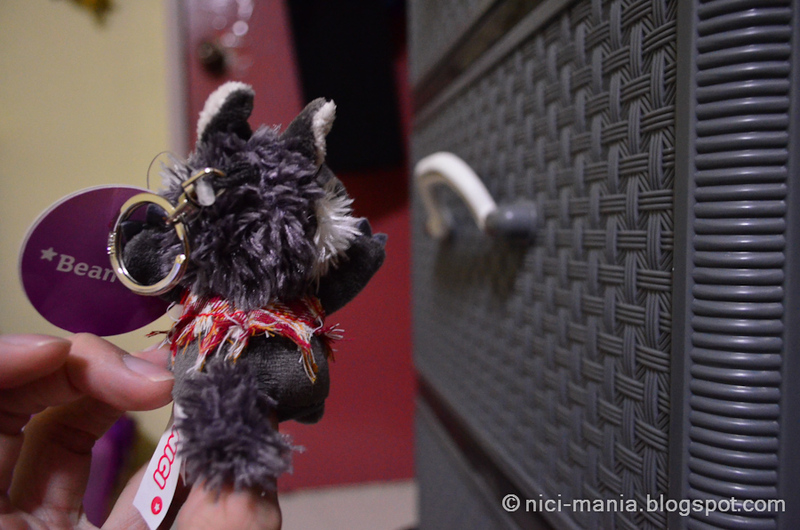 NICI-Mania finally acquired the Little Rocker Wolf! This is only available in Germany and some other countries. Little Rocker Wolf is unfortunately not on sale, we got him for 9,95 Euros. 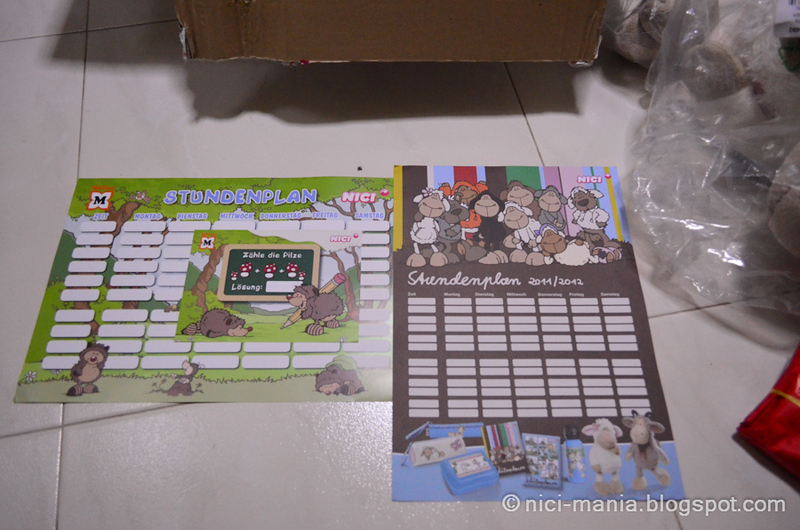 Next up is a Minily Rabbit, Leopard and Jolly Lovely magnets. These belong to our good friend Minghui from Just Another Day! Minily Rabbit snaps a picture with our NICI minily family before she goes off to her owner. 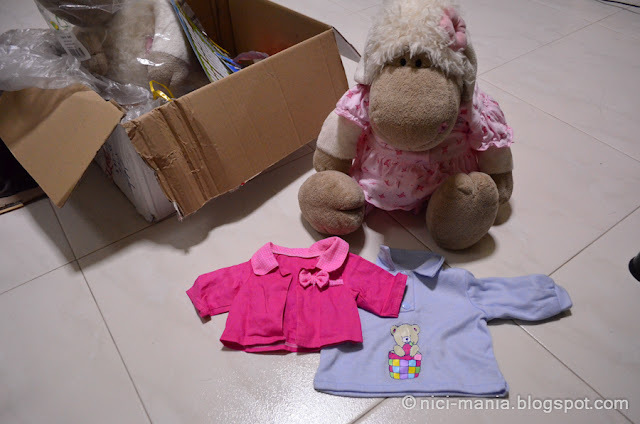 NICI minily rabbit is so cute!! We love her so much we hope we can find one here. Off she goes back to her bag, any minute more we won't be able to let her go! What's this little creature sneaking on top of Hugo Wolf's head? Its a NICI werewolf! He is a very rare NICI, we have never seen him before anywhere. NICI werewolf is wearing a torn shirt because he turned into a werewolf from a human. How cute is that! 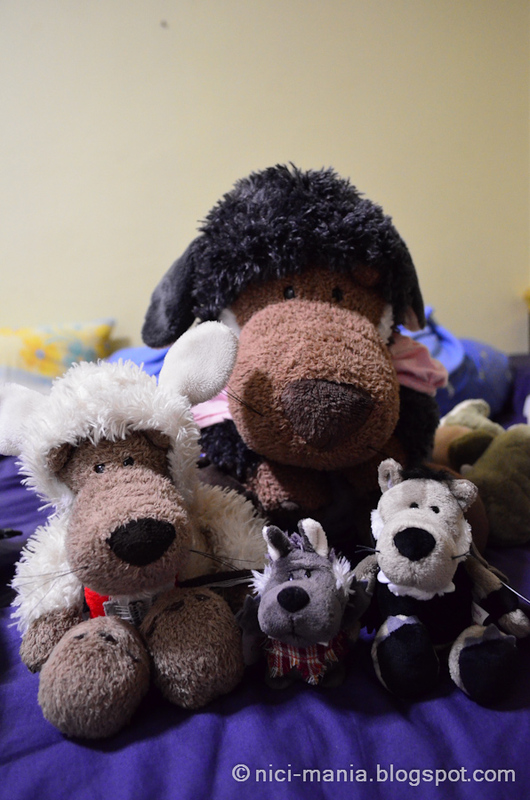 NICI wolf family photo. 4 different kinds of NICI wolf here! Heard there is gonna be a new NICI wolf coming up next year and we can't wait for it! 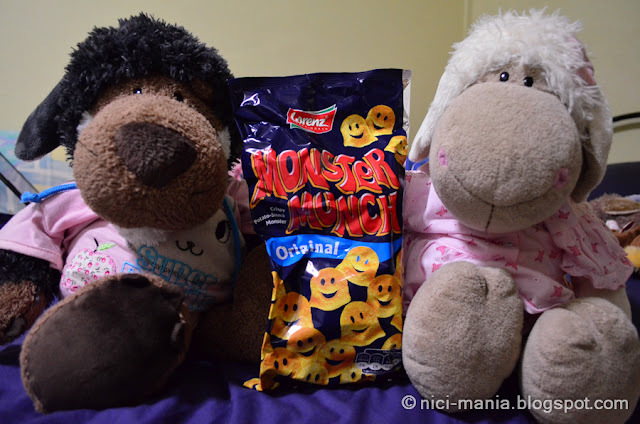 Besides all the cute NICI plushies, we also got a very cute bag of potato chips from Germany! Jolly Rosa's favorite snack is potato chips and she is so happy to get one! And also a packet of mushroom soft candy. It is so cute!!! The surprise from our NICI Germany parcel is endless! 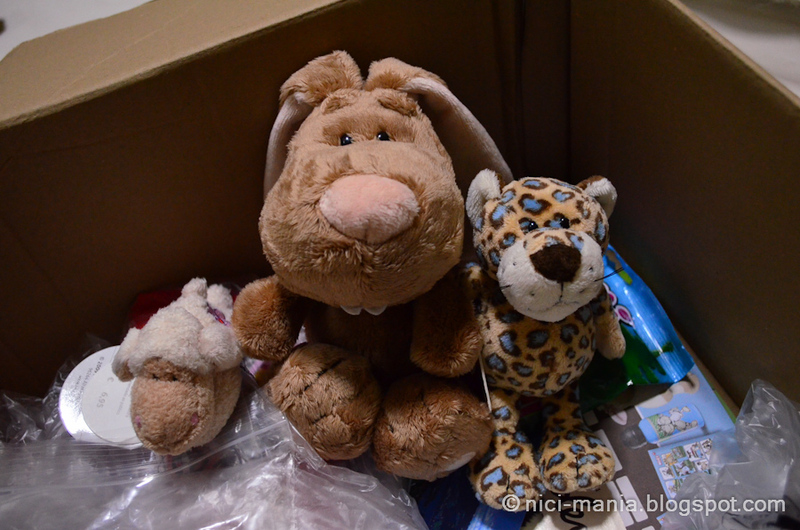 We keep digging into the box and finding new things! 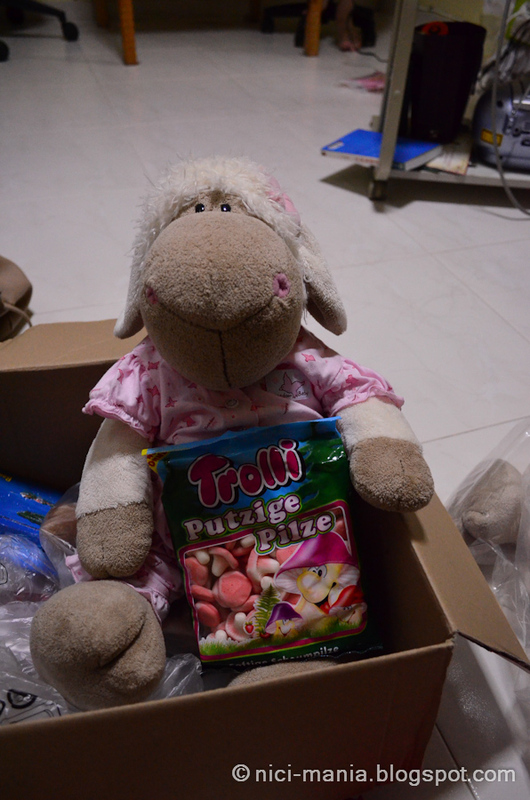 Thank you ♥ Leona and Ute for sending us such a wonderful parcel all the way from Germany! 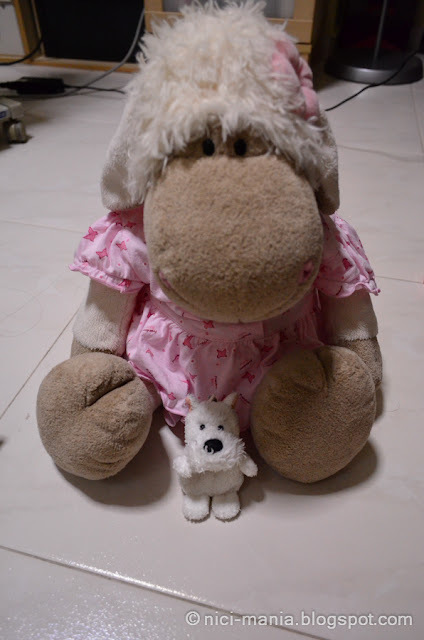 After being overwhelmed by joy in opening the parcel, this cute white dog pops up and surprises us even more. We have no idea who this rare NICI plush is but he is very cute and he is very happy to have found a new home at NICI-Mania. Next, look out for our NICI plushies fighting for these 2 beautiful clothes, more Jolly Rosa entry and Little Rocker Wolf in detail. We only came across this blog a short while ago and we have been enchanted! We really loved this story. Welcome to all the new German Nicis. We are from Germany, too. Oh I saw the Nici-online sale as well.. but the shipping is crazily HIGH.. so i called off the idea of buying.. =( So u got ur Germany friends to post it over to u with international postage? LUCKY U...!! =D Saved alot right? 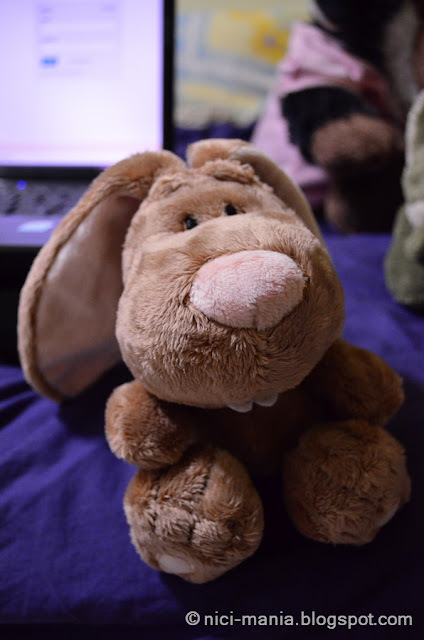 btw Minily Rabbit is MAD CUTE~~ I WANT TO FIND IT TOO!! Much thanks for such a wonderful friend like Leona, wow! She really surprised you with so many gifts in the box. You sure got a bargain there, at nici. I saw sheebo was on sale as well, I think it was 25 cm, don't know for sure, but this Rosa is really a great choice as well. 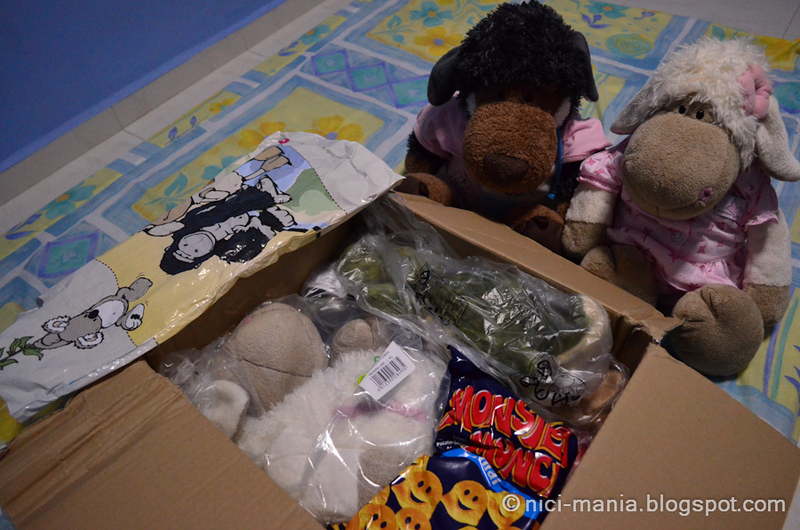 The sweets and chips in the box are not from NICI, I take it? Anyway, enjoy the new additions to your flock. How wonderful it is to see that sheep friends are willing to help each other out. 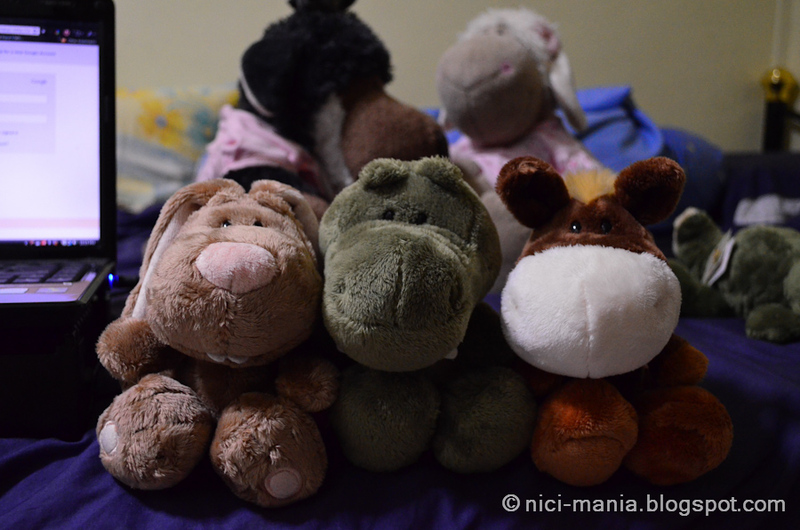 Bubbles (Nici Minily Brown Rabbit) will be too happy if he hears the praises!!! 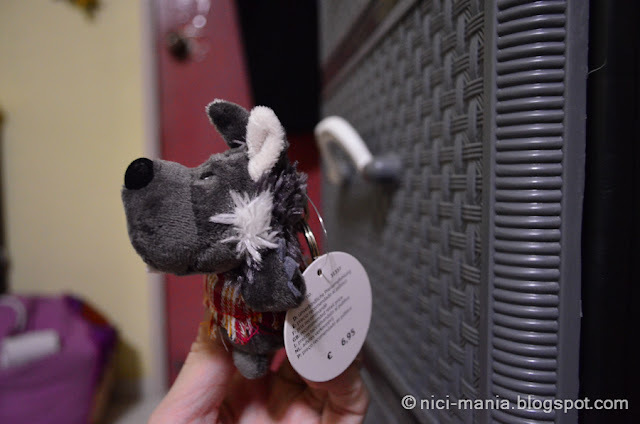 @ Hugo Wolf: Emily from http://velvet-gifts.blogspot.com/ in Malaysia may still be able to get you a Sheebo. I ordered an 50cm from her this week.. She ships worldwide, I think. I did business with the owner, Daniel. @Hugo Wolf yups I bought it through a ebay seller.. which happened to be the one potamotrygorgeous recommended.. 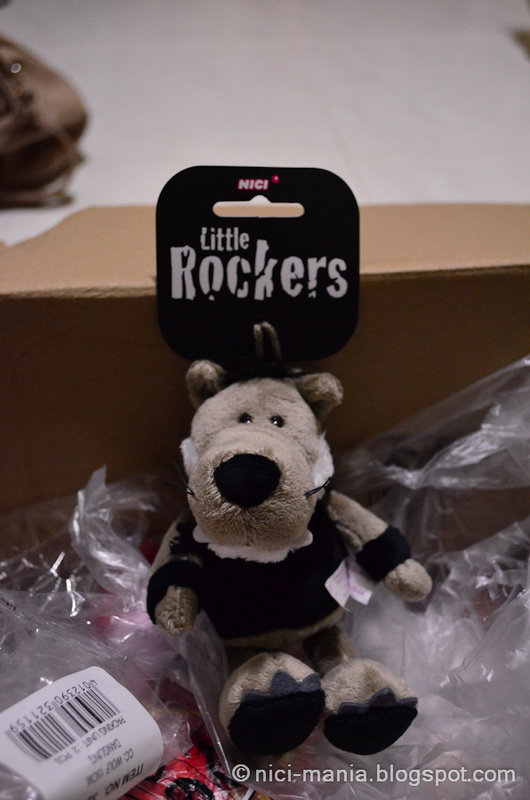 I must to have litlle rockers wolf. Do u know where can I get him?